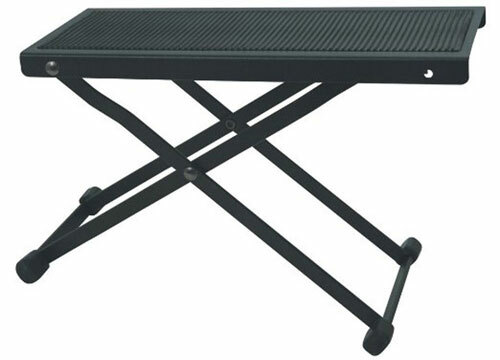 Top Stage®, This convenient foot stool is height adjustable and features a black finish. It folds, making it easy for travel. An excellent item for classical guitarists.